Home Alone may have been harmless, slapstick fun but to Kevin McCallister, the child at the center of the film, it was all too real. A new YouTube video shows that Kevin has grown into a deeply embittered, socially maladjusted, and violence-prone adult who still has major trust issues with his negligent mother. Created by and starring musician-actor Jack Dishel, :DRYVRS is a newly-minted web series about a customer who encounters numerous misfits and malcontents who work for an Uber-like car service. In the premiere episode, “Just Me In The House Alone,” it is nervous passenger Dishel’s bad luck to have twitchy human time bomb Kevin as his driver du jour. 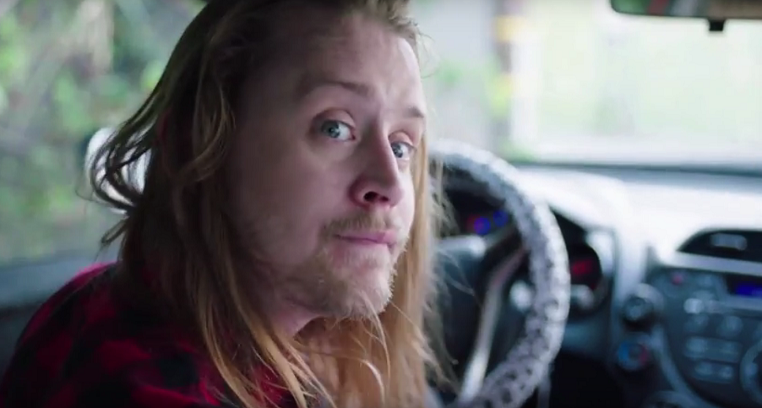 A long-haired, goateed, chain-smoking, and profanity-spewing Macaulay Culkin reprises his most famous role, taking obvious pleasure in sending up his wholesome former image.